Had to go with a Halloween picture this week! Little Miss A just looks so cheeky in this photo! 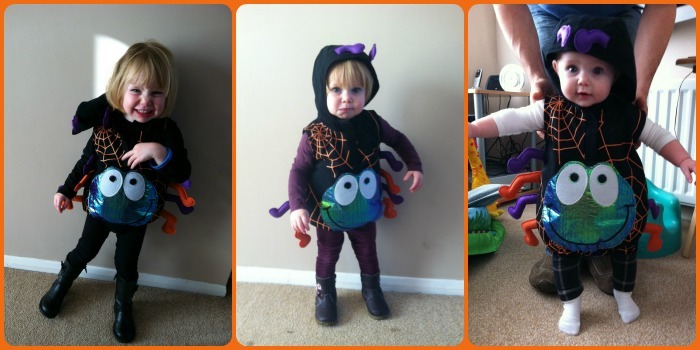 This is the 3rd year in a row that she has worn this spider outfit - we've definitely had our money's worth out of it as it was only 50p at a car boot sale! I know! It was a bit of a squeeze to get her in this year, but I'm glad it did fit so we she could wear it once more! Thanks Jane. I really don't like real spiders but you can't helping liking this cute one!